Have you seen Bad Robots? Seriously, if you haven´t, watch it NOW: Bad Robots. 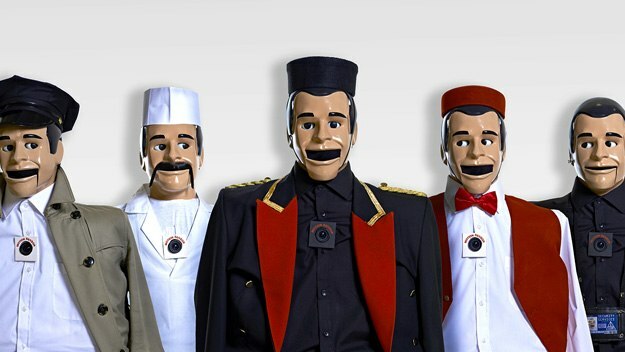 Bad Robots is certainly one of the funniest prank shows I have seen so far. Quiz machines purposely misunderstanding people´s answers, parking ticket machines moving back when you try to grab the ticket and don´t forget about the eye test making you say really awkward things. Well done, E4, well done. We look forward to the next episode – Tuesday, 10PM. Posted on December 3, 2014 by pinkbananamilk	This entry was posted in Culture, News, Tech and tagged Bad Robots, E4, prank shows, TV. Bookmark the permalink.